Design4All™ is a product that FlexQube offers to all customers that wants to design industrial carts on their own! Now we will take the next big step and make creation of carts easier and available for everyone! Surveys shows that many customers want to design industrial carts on their own, but that most of them don’t have a design tool available to do this. In most companies, CAD software is a privilege mainly for product designers, and arranging extra licenses are expensive and complicated. This is now history! 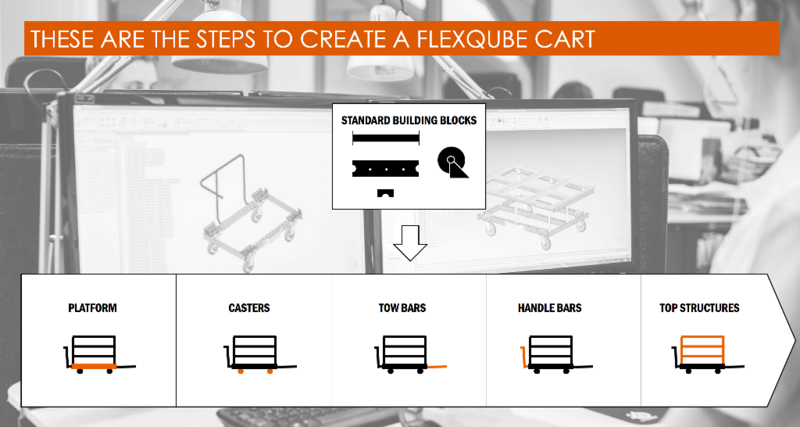 FlexQube building blocks such as FlexBeams™, FlexTubes™, FlexQube® and casters are available for in the Onshape cloud. Easy to find, easy to search, and always up to date to make sure you design with the latest version of the building blocks. Designing FlexQube carts does not require that you have a lot of CAD experience. Most design activities are about creating assemblies by merging already designed building blocks together into a customized cart solution. In Onshape this is done with few and easy commands. Your cart design is stored in the cloud, and can easily share with anyone in your team that needs to review your creation. The basic Onshape subscription is free and allows you to design 10 private documents and unlimited public documents. Designing carts on your own has never been easier, and there are many more reasons why you should design yourself. First of all, you and your team members are the ones that knows the requirements the best. You can quickly transform your ideas into a CAD model and thereby cut the lead time and developing cost significantly. 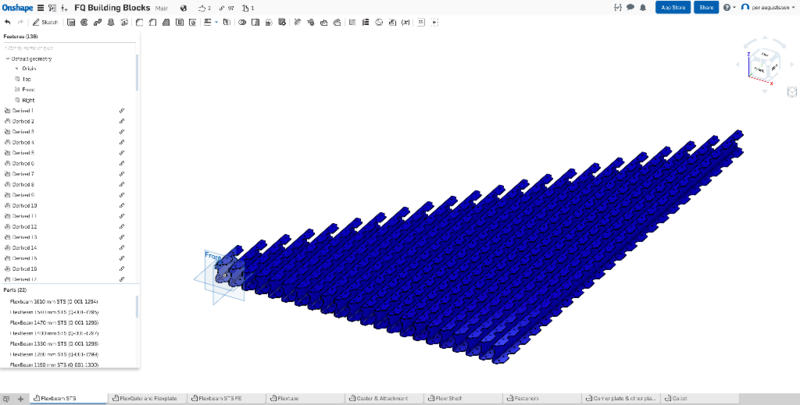 Discuss pros and cons with the team, and finally transform the cad model into a physical prototype. You can start designing a cart from scratch, or you can choose to start from an existing design. From now on, more and more carts will be available in the cloud for your inspiration. You can also check out our Solutions Library to find a solution for your needs. 1. Check out this video to get started and learn how to create an Onshape account and how to find the FlexQube building blocks in the cloud. 2. When you have done this, check out this video to learn how to design your very first FlexQube cart. Contact our design team to receive free of charge Onshape training! All you need is a web browser. Send an email to [email protected] and get started already today! Also visit www.flexqube.com to learn more about the FlexQube concept and follow our dedication to innovate the world of industrial carts.